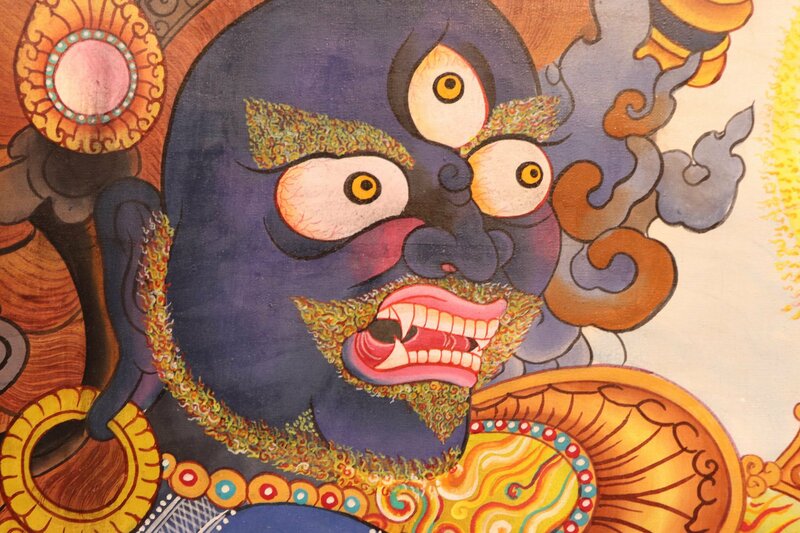 Vajrapani is the Buddha of spiritual power which is always represented in wrathful form. 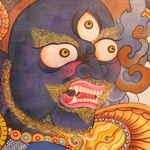 He is depicted in the wrathful aspect. 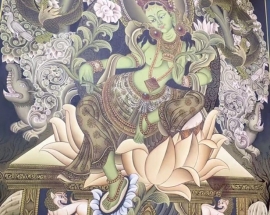 Due to his terrific representation, people thought vajrapani belongs to the groups of Dharmapalas(Protectors of the Buddhist doctrine). 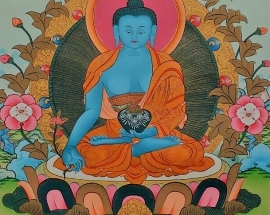 But, in actual Vajrapani belongs to the category of Boddhisattvas. 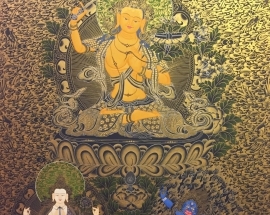 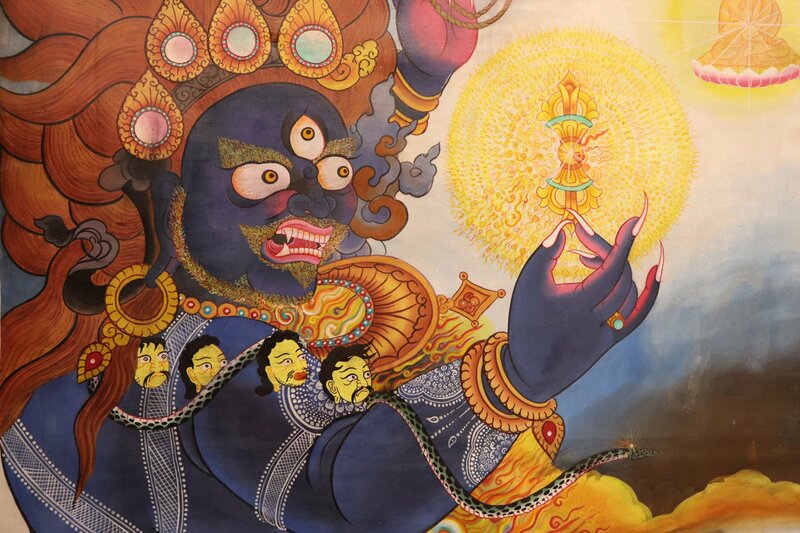 Vajrapani is a famous celestial Bodhisattva, he represents the concentrated power of all Buddhas. 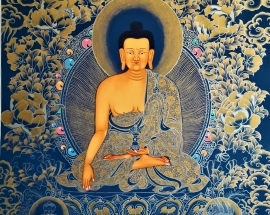 Thus, known as the embodiment of the power of Lord Buddha’s compassion. He is a complex deity with various forms. He is the most frequently encountered in his fierce emanation, in which he is seemed to be a powerful protector and remover of obstacles. 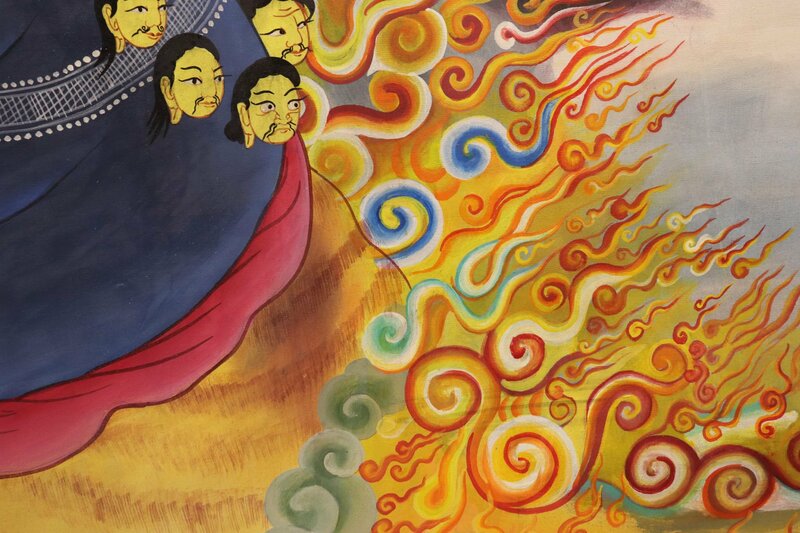 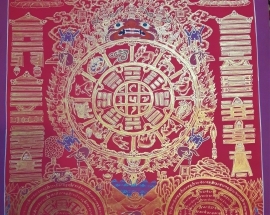 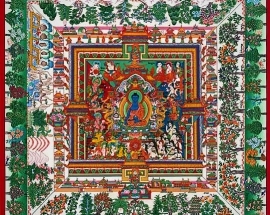 It is also said that Vajrapani will become the last Buddha to appear in this world cycle. 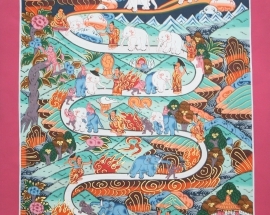 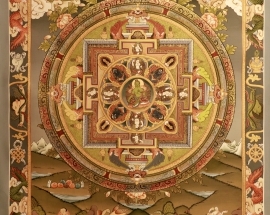 He fights a spiritual battle against the forces of ignorance, craving(an intense desire) and samsara. 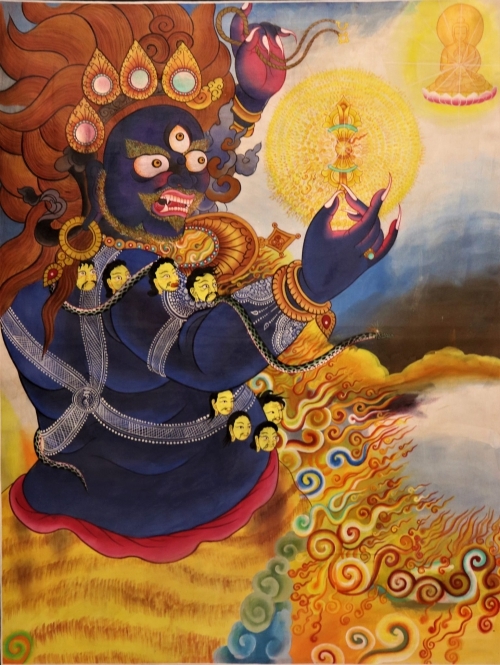 He is a blue tantric figure that is surrounded mostly by a flamed halo(radiant light) and wears a garland of skulls and a wreath(flower arrangements) of snakes and also wears a tiger skin around his waist. 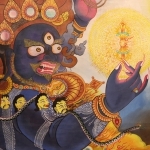 He is usually depicted in two arms aspect but can be seen in four arms aspect too. 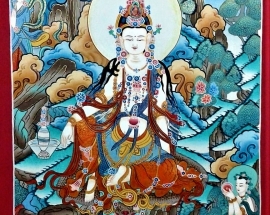 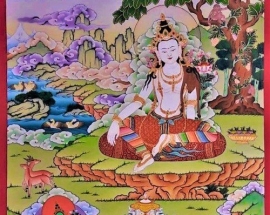 In art, he is a major Boddhisattva(spiritual hero), easily recognized as the holding of the vajra in his right hand and left-hand cross his stomach, displaying threatening gesture. 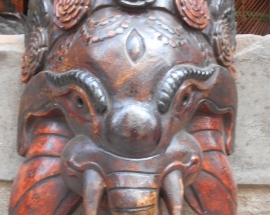 Under each foot, he controls a live snake. 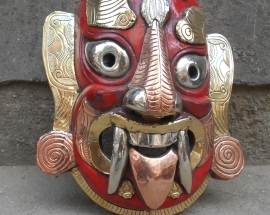 He has a wide and wild roaring mouth rimmed with lacquered(hard, black) red lips. 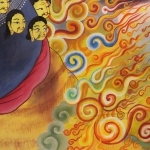 His eyebrows are like the flame and mustache and beard being curled. 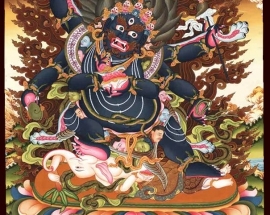 Vajrapani’s wrathfulness, snake ornament and his pose as a warrior all serve to convey the force and vitality of the enlightened energy as it combats ignorance, greed, fear and other delusions. 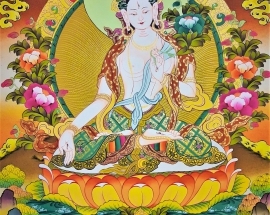 He is also known as the god of rain.